Our first Buddy Activity is here! We’re going to challenge each other in a game of Glow Mini Golf! 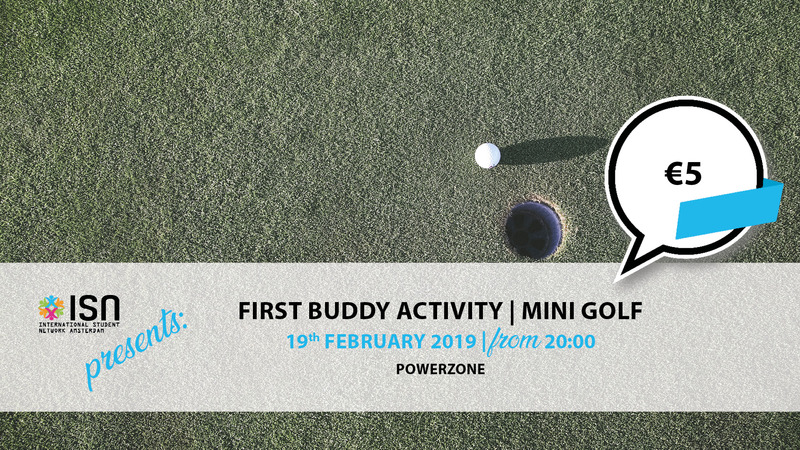 We invite all local and international buddies to join us on Tuesday the 19th of February at 20:00h to show off their mini golfing skills and have a good time with fellow buddies! After glow mini golfing, there is a possibility to go for some great Belgian beers at Café Delirium, which is close to Powerzone. Come by our office (CREA room 1.15) today, Wednesday, Friday or Monday between 13:00h and 17:00h to buy your ticket for just €5. Please note: if none of your buddies want to or can go, you can still come!